Type about:config in your adress bar and go to browser.sessionhistory.max_total_viewers” and instead of the -1 setting, change it to 0 and hit Enter. Memory tweak: Firefox auto adjust the cache size to fit irrespective of many pages you have open. While this is useful, if you tend to only have a few pages open at a time, you can manually reduce the setting to a specified amount at the cost of reducing performance when Firefox runs out of cache. Type about:config in your adress bar and go to the page. You can modify the following: For preventing the alert message of download form popping for a long time,modify a. browser.download.manager.showAlertInterval which is by fault set to 2 sec For setting the minimum size of the files for which you want to see the download progress to prevent the annoying window from opening for even small files,browser.download.manager.openDelay set its value. For getting your download mamanger closed as soon as the download is over,set the value of browser.download.manager.closeWhenDoneto true which is by default set to false. For preenting the download manager from flashing in your taskbar for certain time,modify browser.download.manager.flashCount the value to 0. 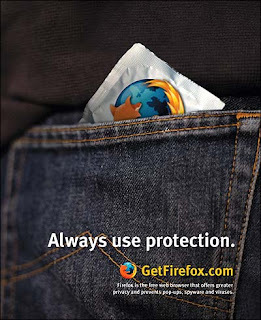 Restart your Firefox after all tweaks. Perhaps there were some more addons? Thanks for sharing such content. I was searching about WonderFox DVD Video Converter and found your website very useful in this regard.